Dr. Levmore has been the Director of the Agunot and Get-Refusal Prevention Program for over a decade. As an expert on the agunah problem she is the author of מניעי ענייך מדמעה (“Save your eyes from tears”) on prenuptial agreements, published in Hebrew. Dr. Levmore holds a Ph.D. in Talmud and Jewish Law from Bar Ilan University. Her dissertation focused on the change in rulings of the Israeli Rabbinic Courts in the most difficult cases of get-refusal. 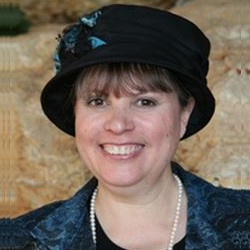 Dr. Levmore is an internationally recognized leader in resolving and preventing the agunah problem. She lectures about halacha, women in halacha and divorce in Jewish Law, in Israel and Jewish communities around the world. As an active Rabbinical Court Advocate (טוענת רבנית) since 1995, Dr. Rachel Levmore has specialized in cases of Iggun and get-refusal heard by the Israeli Rabbinical Courts. In January 2000 she became the first woman to join the "Agunot Unit" in the Directorate of the Israeli Rabbinical Courts. In her capacity as program director and coordinator she has helped hundreds of women attain their freedom from the untenable chains that bound them. Dr. Levmore is often a lone voice in the bewildering maze of the Israeli Rabbinical Courts, calling for and affecting the development of solutions to the problems of people in desperate straits. She is recognized by the Rabbinical Judges as someone who can assist them in achieving resolution of cases in an halachic manner, where they had been formerly stymied. Dr. Levmore resolves difficult cases of husband disappearance and of get-refusal in Israel and in the Diaspora. She is in close contact with Chief Rabbis, Rabbinical Courts and community Rabbis the world-over. She was one of a team that developed a Prenuptial Agreement for the prevention of get-refusal, which relates to problems specific to Israeli society, while still valid for world-wide application. Through her lectures and discussion groups held in Israel and abroad, she raises the awareness of the Jewish world regarding the subject of women's status and self-actualization in Judaism, specifically addressing the complexity of Jewish divorce today. Dr. Levmore is also trusted by the "establishment,” which facilitates her involvement in the development and application of far-reaching solutions to the agunah problem. The general populace, as well, has recognized the efficacy of this project, with pleas for assistance reaching the Dr. Levmore from women in every strata of Israeli society in Israel and abroad.